V V Systems & Power Panels Pvt. Ltd. is a leading Power Control Solutions Company offering Consultancy, Designing and Manufacturing of Electrical Control Panels. With wide spectrum of power control solutions, we have the ability to manage any complex power control project. With our continuous focus on Customers service, Product Quality, Competitive Prices & Timely Delivery, we have been able to satisfy our growing customer base. Being an ISO 9001:2008 Certified Company, we are certified by a Premier Certification Body - TUV India Pvt Ltd. with double accreditation - TGA & NABCB. Our Panel has been Type Tested at CPRI for Short Circuit Test, Heat Run Test & IP 55 Test. We are one stop solution for all L.T Electrical Panels for Industries, Commercial Complex, Residential, High Raised Building and Apartments. We undertake Design, Developments, Manufacture and Commissioning of all kinds of L.T Electrical Panels. Our state-of-the-art manufacturing facility has a work space of 7000 Sqft. with latest machineries such as Bending Machine - AMADA (Imported from Japan) & Sheering Machine - Energy Mission (Manufactured in Ahmedabad). To give Quality, Best Priced & Timely delivery of our products always. To delight our Customers with products as per their needs. To create a distinct value and make a difference in all our products & services. Portfolio: Bring to the world a portfolio of quality products that satisfy customers' desires and needs. Profit: Maximize long-term return to shareowners while being mindful of our overall responsibilities to our employees & society. Our management team consists of talented and passionate personnel who have decades of rich experience managing various operations of the company such as marketing, manufacturing, Finance & Human Resources. The team has always honored its commitments to the client. 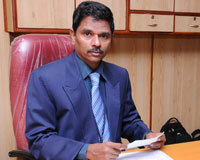 Venkataramanan is the Managing Director of M/s. V V Systems & Power Panels Pvt. Ltd since 2007 when the organisation was formed. He was one of the Partners who created V V Systems, a Partnership Firm in the year 2001. He is basically a Mechanical Engineering Graduate having over 15 years of experience in this segment & varied fields. 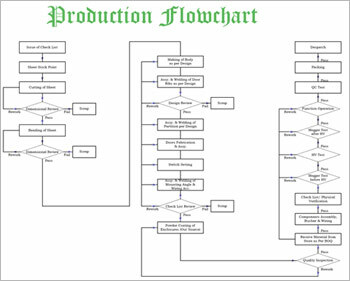 He has a sound technical knowledge in Panel Designing, Production & Quality. Before starting V V System, he has gained the lots of experience in the Automobile Industry in the Technical & Marketing segments. Quality is his Prime Focus. Presently at V V Systems & Power Panels Pvt. Ltd., he is in charge for Operations, Quality, Maintenance & Service functions. V. Viswanathan is the Director of M/s. V V Systems & Power Panels Pvt. Ltd since 2007 when the organisation was formed. He was one of the Partners who created V V Systems, a Partnership Firm in the year 2001. He is basically an Electrical Engineering Graduate having over 13 years of experience in this field. He has a sound technical knowledge in Consultancy, R&D, Designing, Procurement, Marketing & PLC Programming. Before starting V V System, he has gained the requisite experience in the similar industry (M/s. System Power Gear) in the Technical & Commercial segments. R&D, PLC Programming, Automation & System Development are his core focus areas. Presently at V V Systems & Power Panels Pvt. 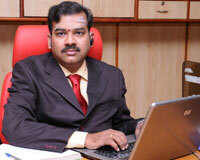 Ltd., he is in charge for R&D, Design, Technical, Marketing & Procurement functions. Saiprasad is the Director of M/s. V V Systems & Power Panels Pvt. Ltd since 2007 when the organisation was formed. He supported the former Partnership Firm V V Systems as a Management Consultant & subsequently joined the Board of Directors of the Pvt. Ltd. Company since 2007. He is basically a ICWA, MBA & Commerce Graduate having over 18 years of experience in various business segments like Life Insurance, Automobile, Steel & Electrical Panels. He has a sound knowledge in Business Planning & Strategy, Costing & MIS, Statutory Legislations (like Factories, Labour Laws, Central Excise & Service Tax, VAT, Professional Tax, Income Tax, PF, ESI, etc. ), Finance & Audits, HR & Administration. Before joining V V Systems & Power Panels Pvt. Ltd as Director, he has gained abundant experience in various above mentioned fields in Life Insurance Corporation of India (3 Yrs), Ashok Leyland Ltd (7 Yrs), Global Steel Holdings Ltd, ISPAT Group (3 Yrs). Business Planning & Strategy, Costing & MIS, Finance & Statutory Adherence are his core focus areas. Presently at V V Systems & Power Panels Pvt. 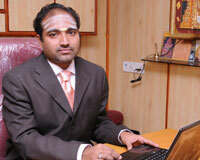 Ltd., he is in charge for Finance, HR & Administration functions & also as MR in QMS Certification – ISO 9001 : 2008. Continual Improvement in Quality, Service, Price and Timely Deliveries to exceed Customer's expectations. Continual Improvement in Products, Processes and Systems. Adapting to the latest Technologies & Market Conditions. Training & Motivating the employees. High Involvement of employees to the best of their skills and knowledge. Consistently adhering to the Quality Assurance Systems.